I love living in Italy in the springtime, it is by far my favourite time of year. In the first week of April temperatures are already reaching 18°C in Puglia and everyone is starting jobs around their houses and land. It’s time to plough the land in the olive grove and prune some trees. We already have logs drying in the sun. The pool has been cleaned and refilled with fresh water from our artesian well. While the plants that we have in pots under the veranda are being pulled forward into the sun. The midsummer sun is so intense you have to think carefully about what furniture and plants will be able to take the heat, and provide shaded areas to put them in during the day. Sun umbrella’s and gazebos don’t tend to last long in the summer, as some afternoons you can get sudden winds. A permanent veranda is a must have. Every morning I wake up to the sound of birds singing in the orange bush as they busy themselves finding twigs for their nests. Every morning I wake up to the sound of birds singing in the orange bush as they busy themselves building their nests. I always know that spring has arrived when I no longer see the robin, but instead hear the hoopoe bird in the morning and the frogs calling at night. Our lemon tree is covered in lemons, so I can just pick one to have a slice in my morning tea. Drinking tea on the terrace, looking across a sea of yellow flowers in the meadow, is a great way to start the day. Walking down the land I can see more closely the many different wild flowers that make up that beautiful sight. In a few weeks, the red and white of poppies and camomile will appear. If I am lucky I may spot one of the few hoopoe birds who arrive in the spring. It flies in swooping dip movements and has a beautiful crest that opens up across its head. Tiny green figs and almonds are appearing on the trees now. Soon tiny pears will appear in the place of the falling blossom. Our home is in an old stone Masseria in the countryside, but our local town is only five minutes’ drive. The perfect distance to enjoy the best of both countryside and town life. We feel fortunate to have eight acres of land around us, something we couldn’t have afforded back in the UK. Being so near to town we can get to the weekly market nice and early. We always buy a tray of eggs and check out what fruit and vegetables are in season. This week we saw strawberries, aubergines, bunches of artichokes and plaits of garlic. It has become a weekly custom for us to have a cappuccino and a freshly made chocolate cornetto (croissant) sat outside the café. These are filled with so much Nutella, I always get it all round my face or on my trousers. Gradually over the spring the glass cabinets in the café will display less cakes and biscuits and more delicious gelato. Flights are generally cheaper at this time of year and some airlines begin to put on extra services in April, and new routes. Flights are generally cheaper at this time of year. Some airlines begin to put on extra services in April, and new routes. There are also good internal flights. 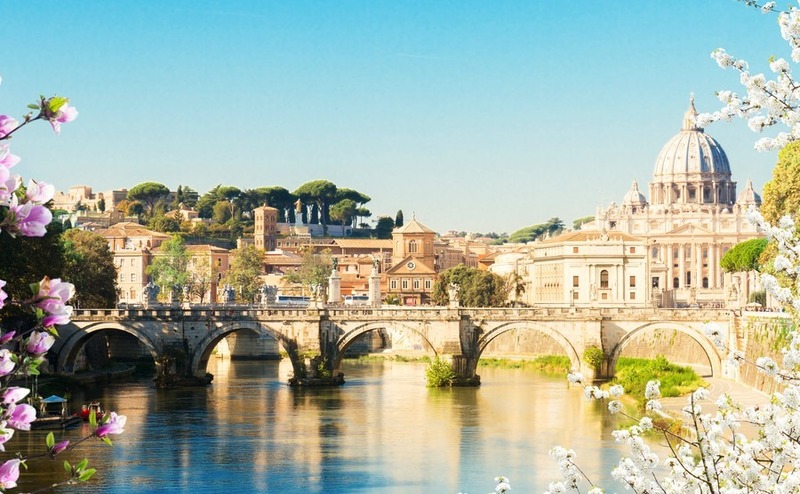 So if you are flying from the UK it is possible to visit Rome, Pisa or Venice, for example, before continuing to other parts of Italy. Living in Puglia, I have even visited Rome for the day, flying from Brindisi and also travelled there by train. Temperatures are perfect for sightseeing or house viewing at the moment. Tourist areas will be less crowded and accommodation is cheaper than July and August. Plus you are very likely to find a whole stretch of beach to yourself. So, why wait? Come and visit Italy this spring. 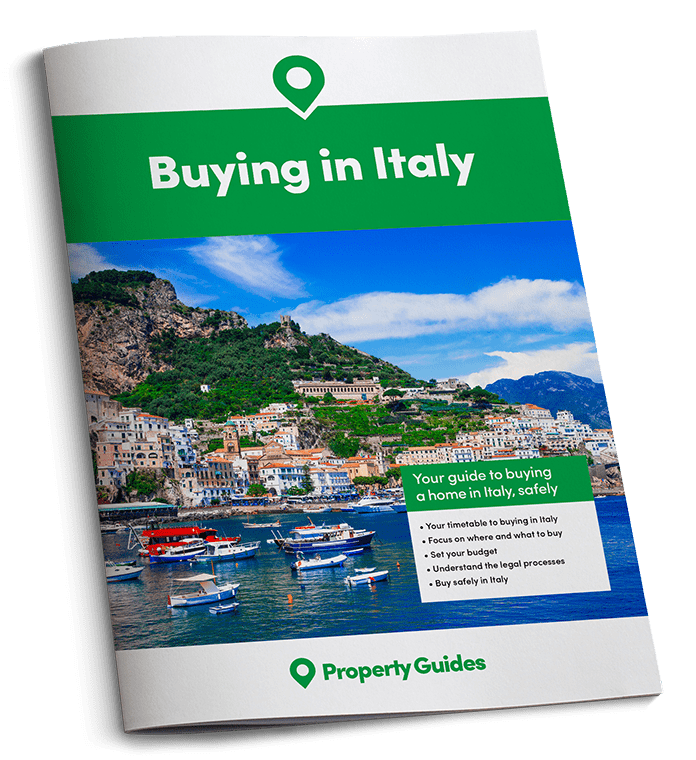 With property purchases taking around 6-8 weeks to go through you could find your dream home in the spring and be living in the Italian sunshine by the summer.